Linda M. Sherman, 62, 2315 N. Broadway Ave., Sidney, Ohio died at the Ohio State University Medical Center, Columbus, Ohio on Sunday, October 4, 2009 at 7:30 AM after a 10 year battle with cancer. She was born in Sidney, Ohio on August 27, 1947 the daughter of Eugene M. and Helen (Umstead) Sherman and they are deceased. She is survived by her sister, Sherrel Wendeln and husband Robert of Sidney, Ohio; two brothers, Michael Gene Sherman and wife Mary of Sidney, Ohio and Tony Sherman and wife Debby of Maplewood, Ohio; also several nieces and nephews and several great nieces and nephews. Also survived by special nieces, Melissa Sherman and Angela Vecchio. Also survived by beloved special companion, Lady. 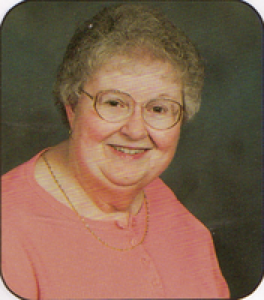 She was a 1965 graduate of Holy Angels High School in Sidney and is a member of Holy Angels Catholic Church. She had worked at Regal Plumbling in Sidney for 30 years as the office manager. She enjoyed playing cards, shopping, traveling, craft shows and was a member of the Shelby County Senior Citizens in Sidney. A memorial mass will be held on Friday, October 9, 2009 at 10:30 AM at Holy Angels Catholic Church with Rev. Dany Schmitmeyer. Burial will be at Graceland Cemetery, Sidney, Ohio. Friends may call at Salm-McGill and Tangeman Funeral Home on Thursday, October 8, 2009 from 6-8 PM. Memorial contributions may be made to the American Cancer Society, 2808 Reading Road, Cincinnati, Ohio 45206 and envelopes will also be available at the funeral home.